Some of the top leaders of the world including the management executives of Twitter Inc (NYSE:TWTR), Tumblr, and the likes of Arianna Huffington, The Huffington Post owner, are ditching their Smartphones to find digital freedom. Most of the executives mentioned data overload and dependency fears on digital devices. A report published by eMarketer in January 2014 stated that the number of global smartphone users would reach 1.75 billion towards the end of 2014, 400 million more smartphone users than the most densely populated country of the world. Huffington mentioned about her digital timeout in the Digital Life Design conference held in Munich this week and she was not the only one to do so. Timotheus Hoettges, CEO of Deutsche Telekom AG (ADR) (OTCMKTS:DTEGY), said that he was attending the event without a mobile device to have a digital timeout. 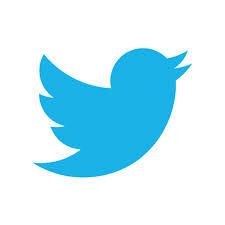 Chris Moody, Twitter Inc (NYSE:TWTR)’s chief of data, left his smartphone behind while going for snowboarding. Similarly, Tumblr’s creative strategy head, David Hayes, said that he goes off for weeks without using his smartphone. According to Huffington, hyper-connectivity could possibly make people less-wise. She further added that the technology is not going to turn people into luddites but it is important to plug off the technology and focus on inner wisdom every now and then. Ericsson AB released a report in November stating that up to 90 percent of the people above 6-years of age would own a mobile phone by 2020. Some executives added that it is more about how we handle the technology and make ourselves less dependent on it.